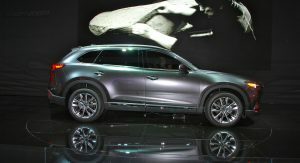 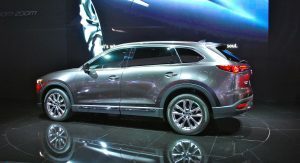 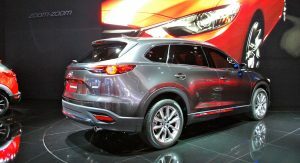 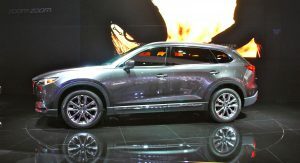 The 2017 CX-9 sticks to Mazda’s more-or-less successful formula that has helped it carve out a space among mainstream brands. 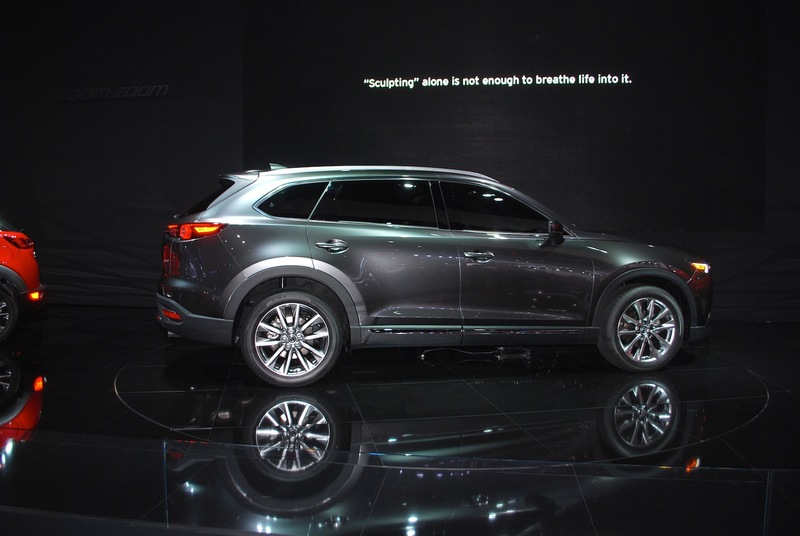 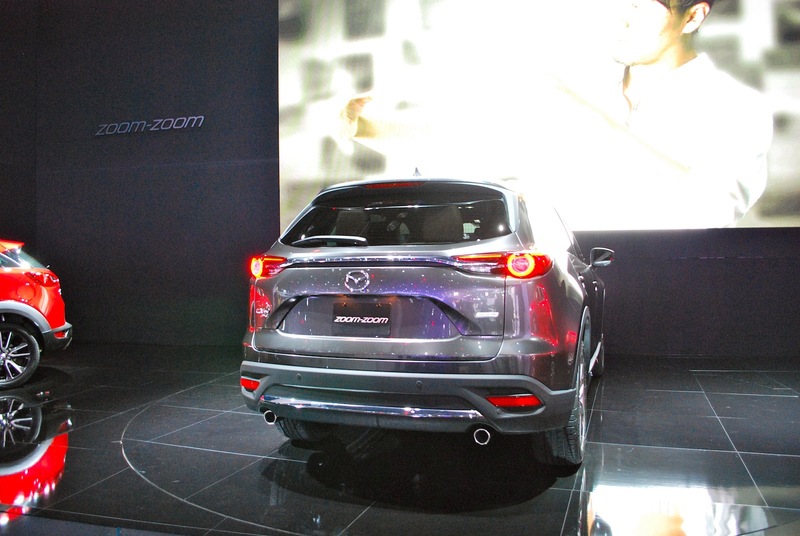 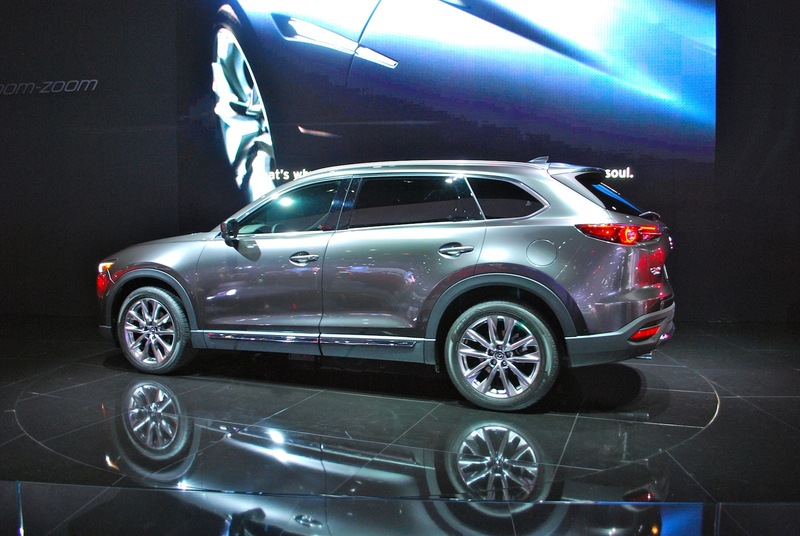 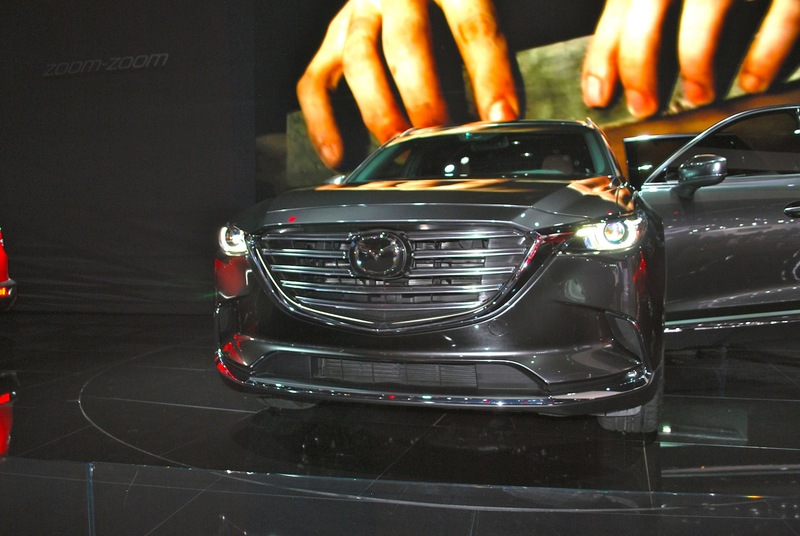 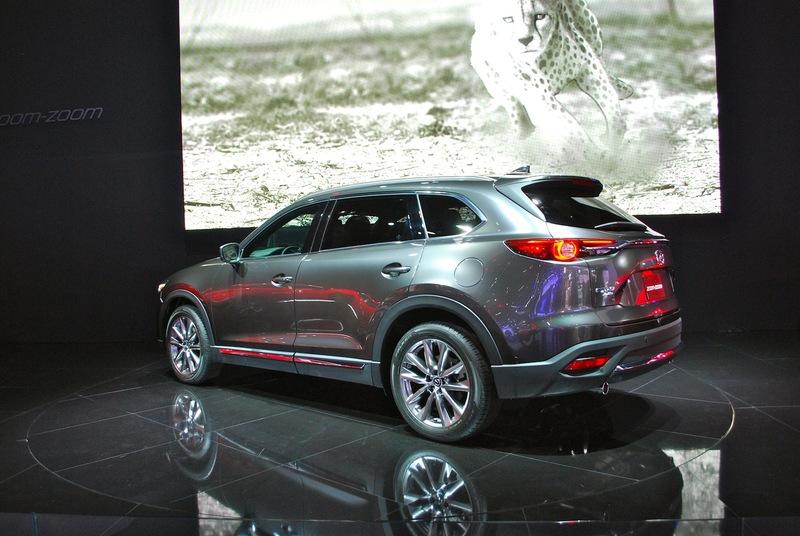 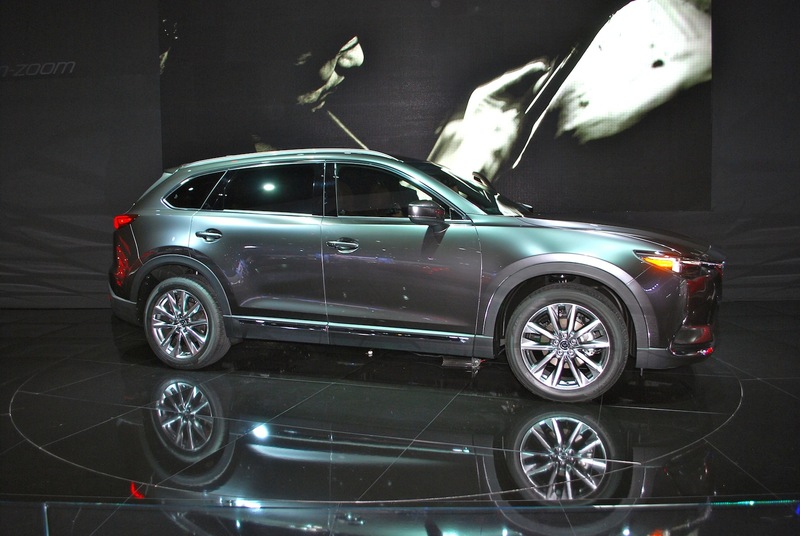 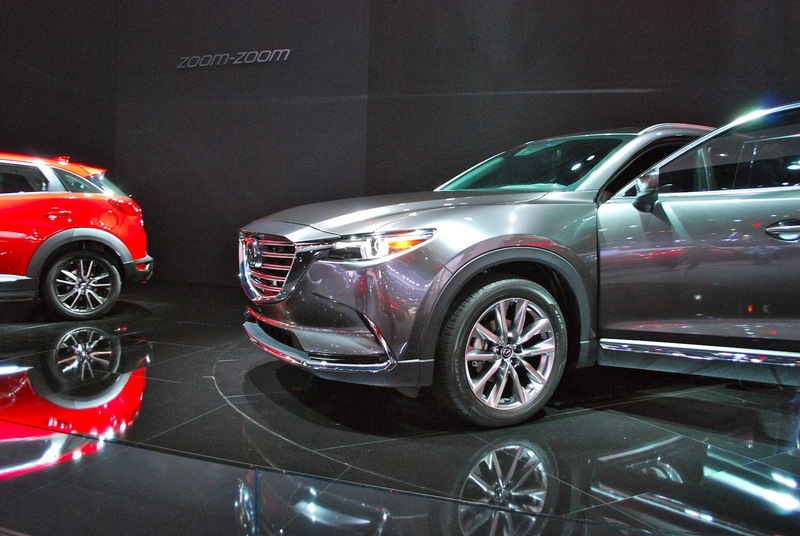 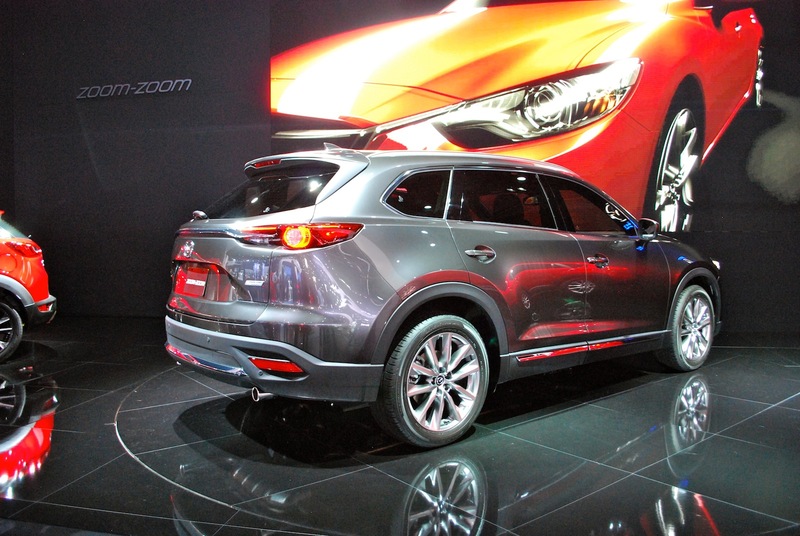 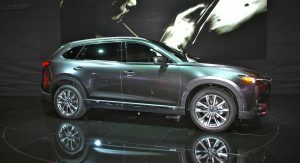 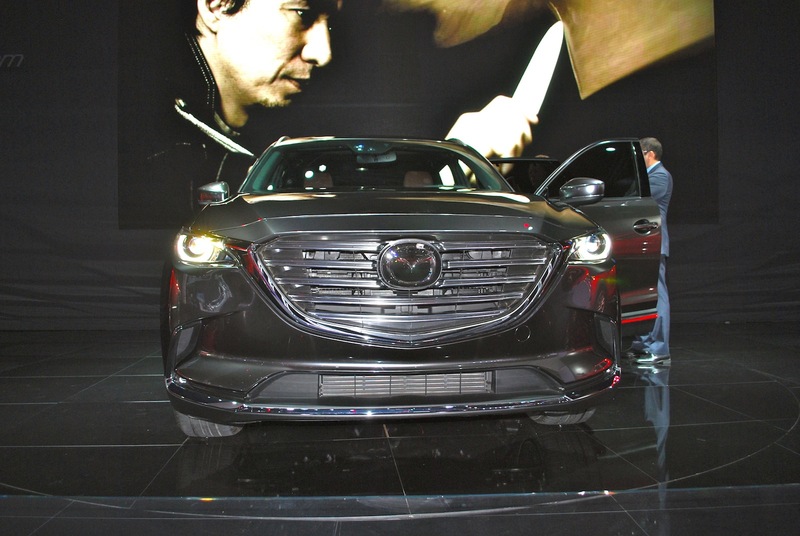 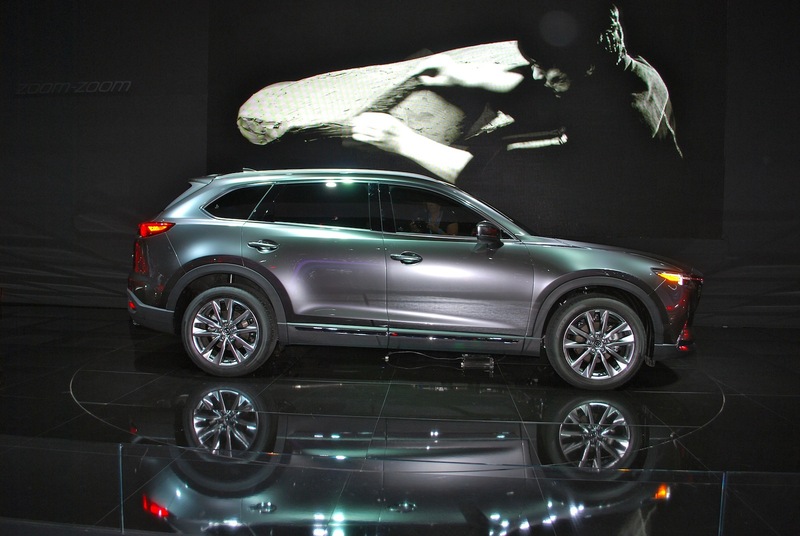 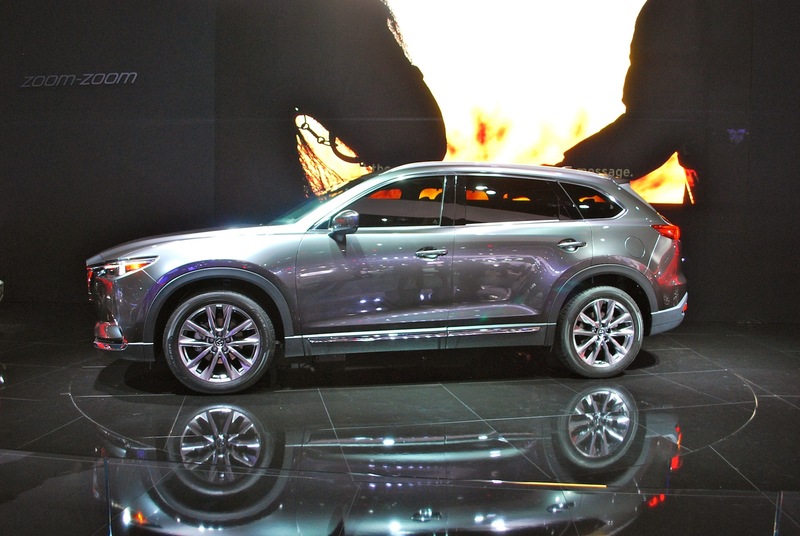 But what the new CX-9 does for Mazda is far more important. 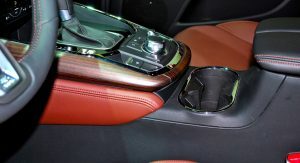 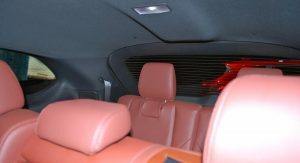 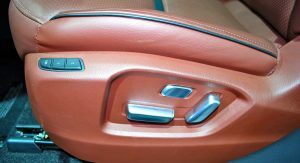 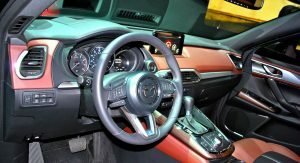 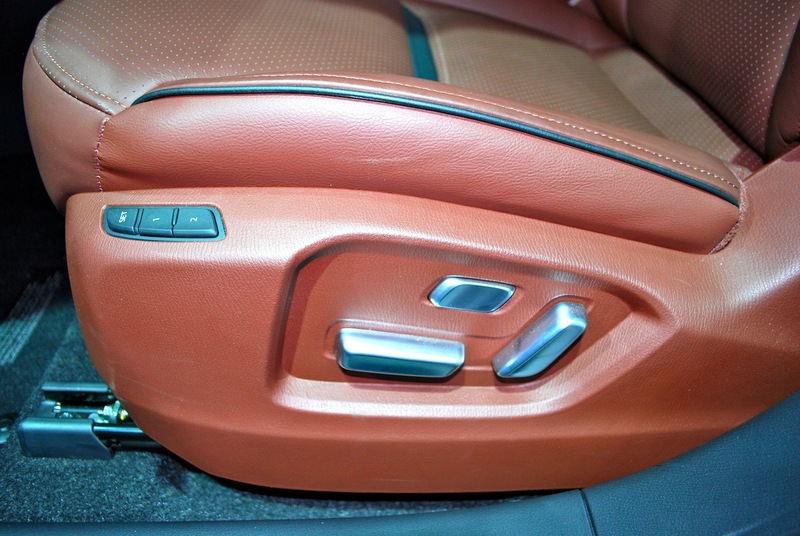 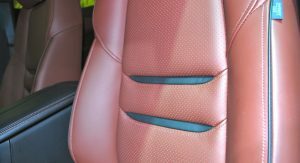 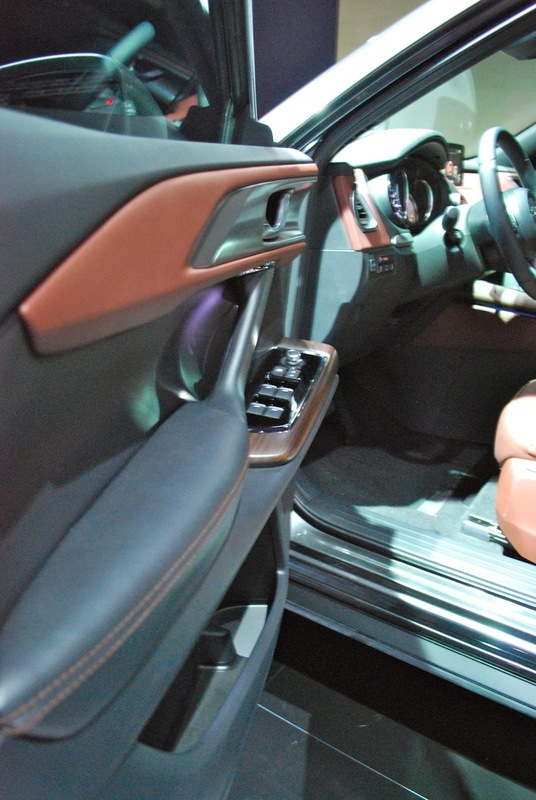 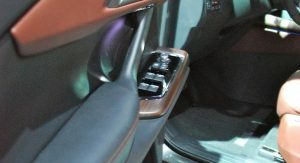 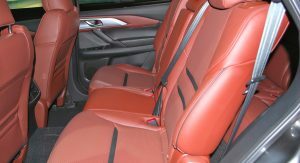 Mazda makes driver’s cars, we get it, but that doesn’t excuse themselves from making interiors that are low on class or don’t sweat the details. 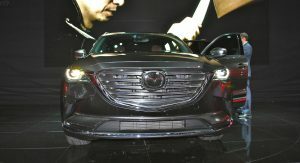 The CX-9 looks like it’ll correct that, with its (real?) 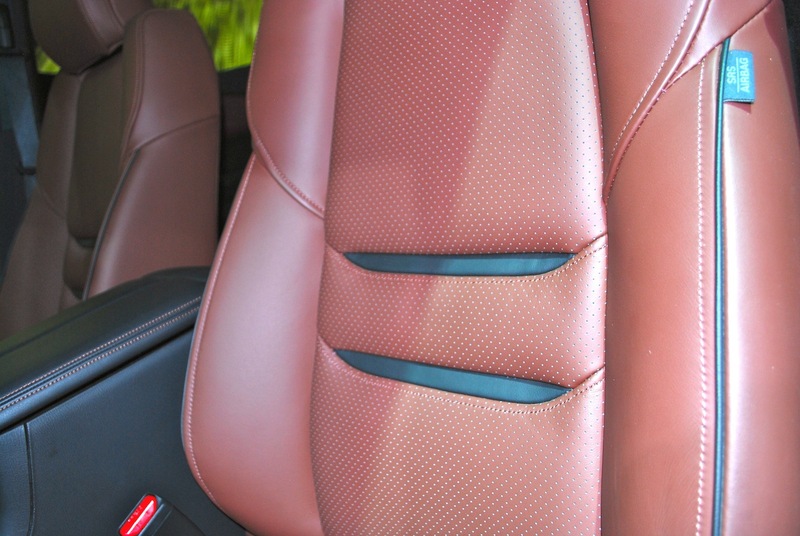 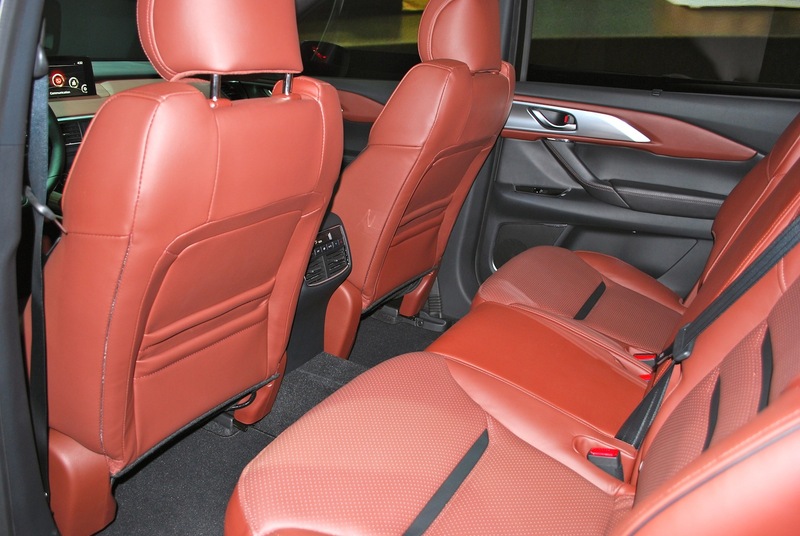 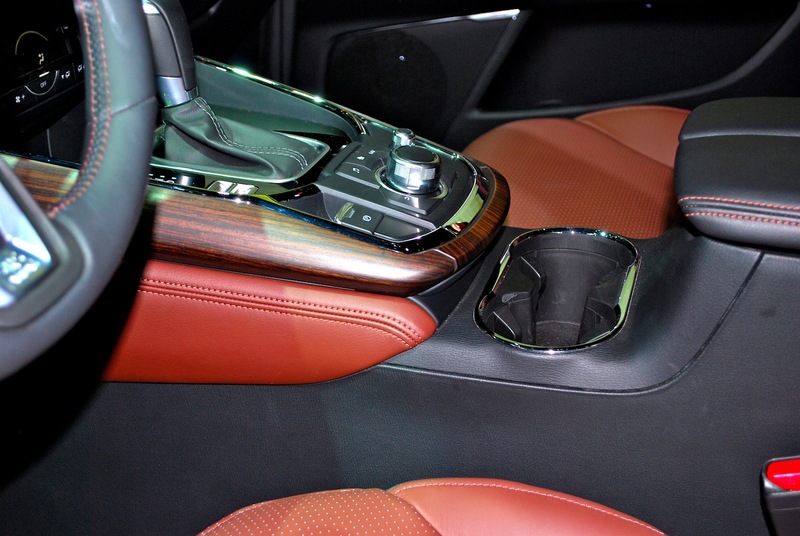 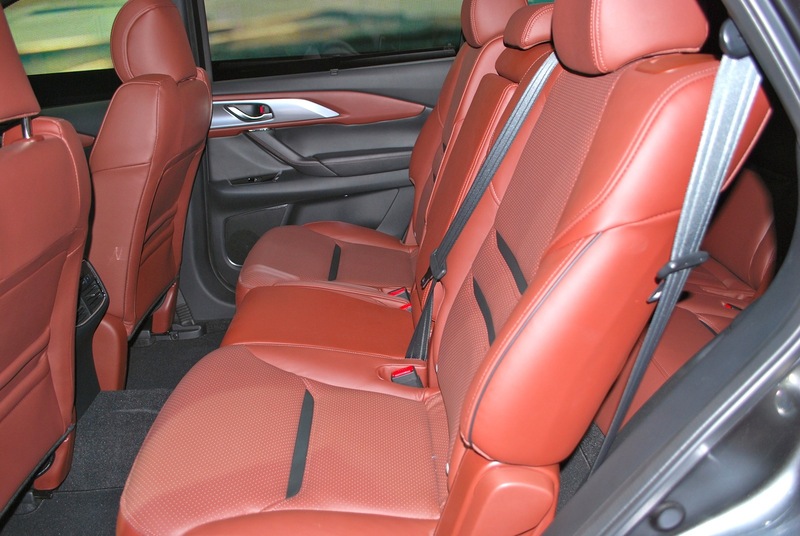 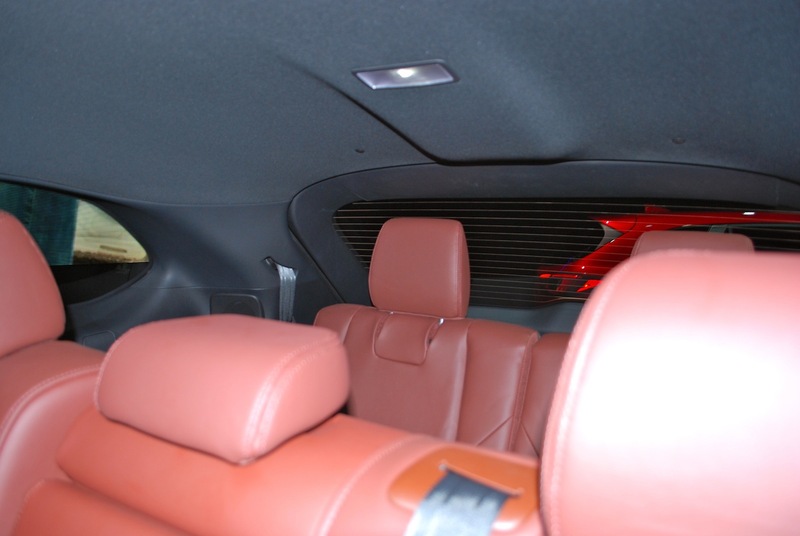 wood accents and red-brown leather upholstery. 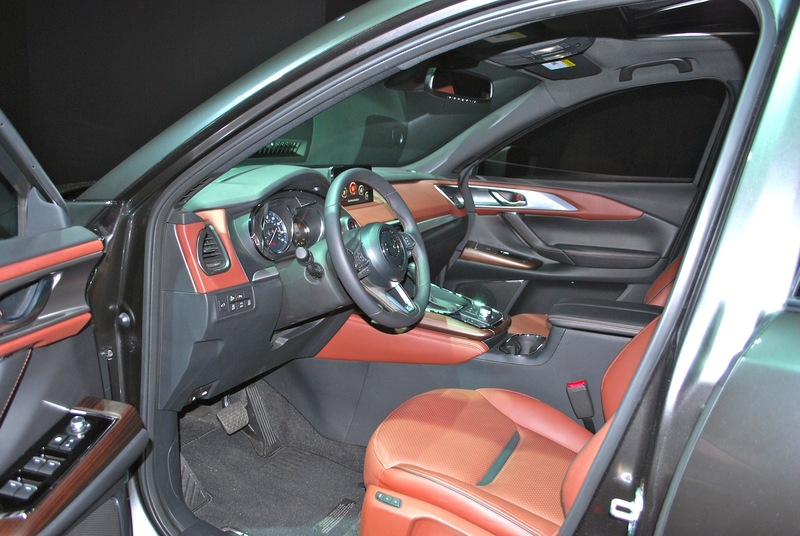 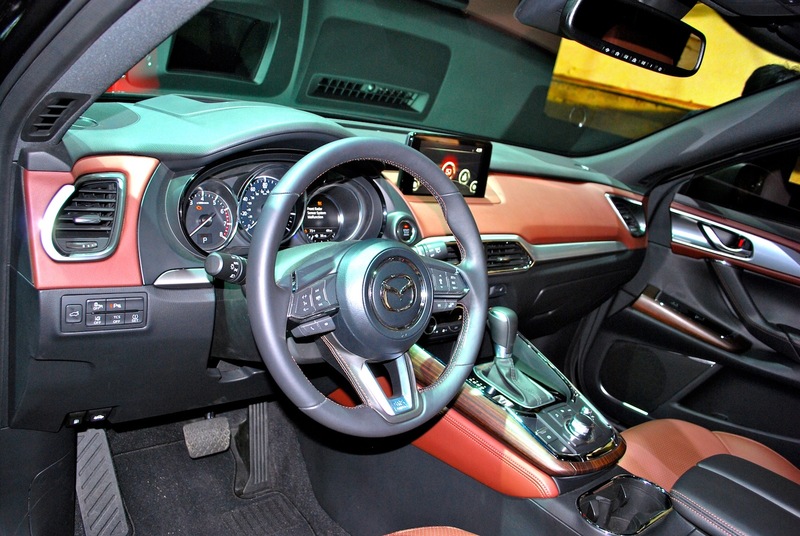 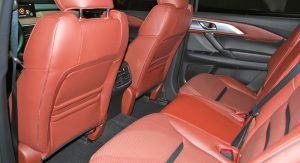 Finally, a color other than white or black comes to a Mazda interior. 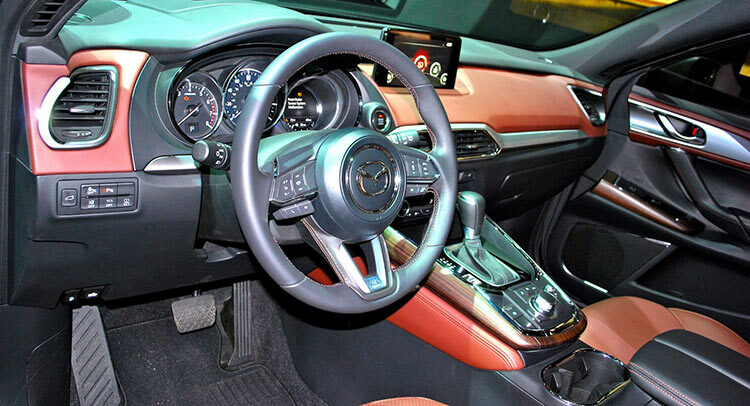 That’s not to say Mazda’s interiors have been bad of late. 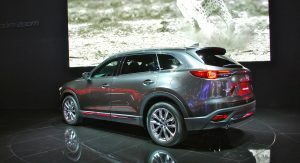 The quality certainly has been there, but in-car tech was lagging behind when the current Mazda 6 and CX-5 launched. 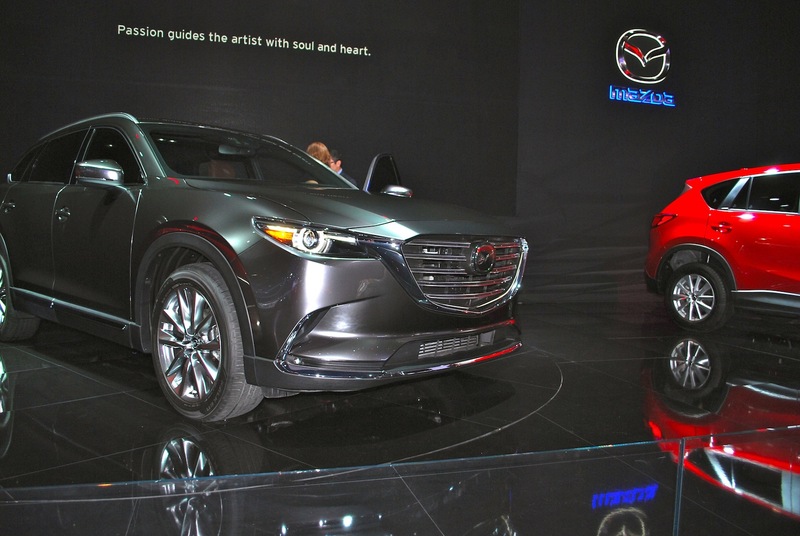 That was corrected last year, but the CX-9 shows there was always room for improvement. 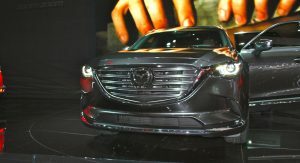 And while the Mazda reps weren’t letting me touch the insides of their new car, the perceived quality is definitely higher than anything I can recall from the company. 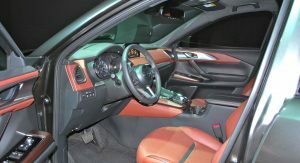 It finally has a color display in the gauges, for example. 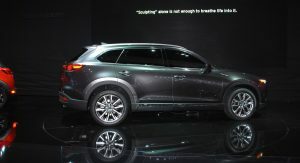 Even the color is more refined, with this new Machine Gray the official Mazda color from now on, replacing the Soul Red that I always thought was garish (OK, it was mostly a pain to photograph). 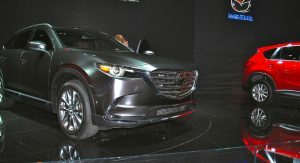 But the CX-9 looks like it has everything to raise the perceptions of the Mazda brand a little higher, to separate it a little more from the companies that sell cars with Fisher-Price-grade interiors. 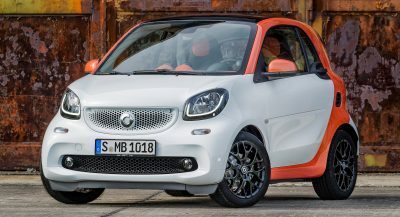 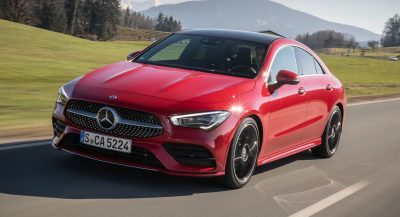 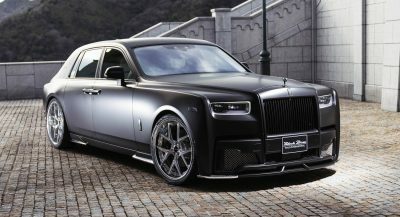 Of course, all this refinement could be mitigated by a turbocharged SKYACTIV engine that begs you to rev it to the point of making a carload of people sick. 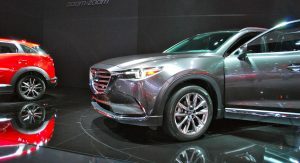 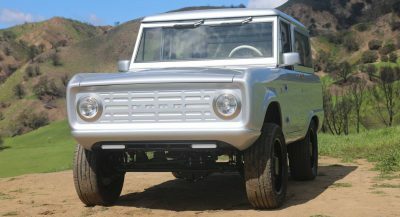 Maybe it’ll be the first mainstream three-row family vehicle that’ll make you want to leave the family at home. 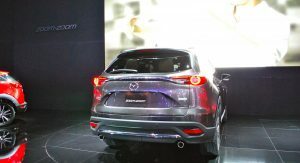 Previous PostPrevious Is There Enough To Separate An Infiniti QX30 From The Q30?